Successful landing pages increase leads by motivating your readers to perform a specific action, such as clicking on a link, entering their email address, or subscribing to your content. Every internet user visits landing pages without even knowing it. A landing page is simply a page where you “land” after clicking on a link or advertisement from another website. Such pages are created for marketing or advertising purposes and contain basic information about a product, service, or campaign. Landing pages motivate your readers to perform a specific action – to follow a link, enter their email address, or hit the “Subscribe” button. Simply put, landing pages generate leads, which is your sole purpose when writing them. With that in mind, here are the steps to writing a successful landing page. Formulate precisely what you want your visitors to do: For example, you may want them to subscribe to your mailing list, visit your event, sign up for a free trial of your product, get excited about the launch of a product, etc. The content and form of your landing page will revolve around this goal. Therefore, the more specific you are about what you expect your visitors to do, the higher the chances that they will do it. With your mindset on marketing, it is easy to get carried away and explain your value proposition on your landing page. Avoid this shortcut. Though your value proposition is naturally connected to your landing page goal, the latter is much more specific. A landing page is not the place to explain all the benefits of your product, let alone its advantages over competitors’ products. People will not read a long landing page – they will just browse away. So, keep it concise and stick to the most essential information about your product, not other companies’ products. All you need to do is get your visitor to click that button. A landing page should not be a long read. You only have a few seconds to convince your visitor to perform your desired action before they get bored and leave the page. The purpose of the headline is to grasp your visitors’ attention. To accomplish this, use keywords. If your landing page is for an event, then the name of the event is your main keyword. Keyword tools will help you identify the problem your potential clients have and the solution you offer; this is what they will search for, thus creating search trends for particular keywords. Use Google Keyword Planner or any other keyword tool of your liking. Once you have your keyword, work it into a headline of 6-7 words that hook the reader: Deliver exciting stats, formulate a direct benefit to your reader, or ask a thought-provoking question. The main copy is where your value proposition is most connected to your landing page: Answer your customer's question, describe the benefit(s) you offer, and explain the stats. Your main copy doesn’t have to be plain text: You can convey information visually. 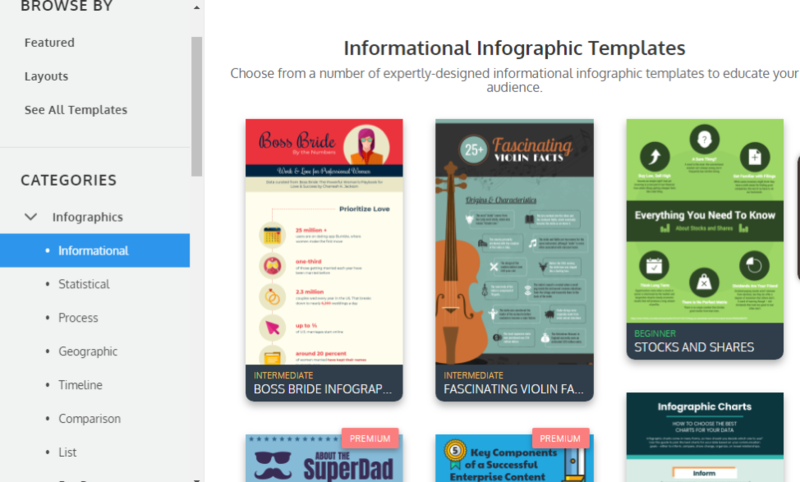 Infographic tools like Venngage can be a great source of inspiration. You can play with ideas on Venngage and instantly see previews of what your landing page may look like. Regardless of the form you pick, stay concise: Stick to short and clear sentences, and leave no room for ambiguity. Explain exactly what's in it for your reader. Now that your reader relates to the problem and wants the solution you offer, offer them a a call-to-action (CTA). In these few words, you tell your reader exactly what they should do to solve their problem: "Enter to...," "Click here to...," etc. If your headline is a question, then your CTA should answer this question. It’s important to make sure your landing page lacks typos or other errors. Put yourself in the position of the reader to determine if your landing page is effective. Do I have the problem described here? Why is it a problem? Do I need it solved? The problem needs to be presented as a critical one. Therefore, the one providing the solution to this problem (you) gets presented as a “knight in shining armor,” the best possible solution to the problem. How credible is this company? Why should I believe what it says? Can I trust it? There must be evidence to back up your information (or, at least, a hint that this evidence exists). Your evidence can come in the form of relevant stats, an expert opinion, etc. My case is rather specific, and I have somewhat particular demands. Will this solution meet them? Will it work in my case? Mention how universal your solution is. If the word count allows it, list a few diverse situations where the solution is successful. Is the price justified? Am I not overpaying? Can I find a similar product at a lower price? Here, it is essential not to fall into the temptation of talking about your competitors. Doing so would be a waste of precious space. By mentioning competing products, you are doing competitors a favor - you are getting your reader familiar with them, which is not your goal. Instead, focus on the benefits that justify this investment. Answering these questions will ensure you proofread your landing page successfully. You may come up with several drafts of your landing page and be unable to decide which one is better. It is a great idea to ask for a second opinion or even conduct polls or surveys. Both Google Forms and SurveyMonkey allow you to add images (such as screenshots of your possible landing pages) either into a survey question or in the multiple choice answer options. Another great idea is to publish several variants of the landing page and see which one performs better. It is up to you to test out several options and see which one(s) works best for your product. Analyze the headings that that hook your clients best, the content of your main copy that incites most attention from readers, and the CTA buttons that collect the most clicks. 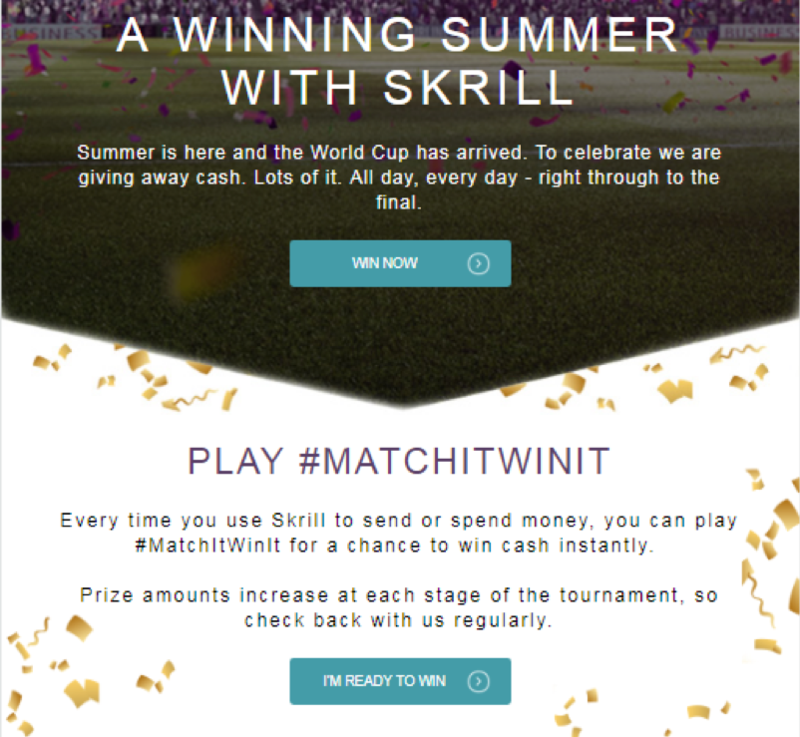 For example, Skrill created a straightforward landing page announcing a cash giveaway dedicated to the World Cup. Skrill conveys the message directly yet seamlessly: Win some money. Both CTAs – “Win Now” and “I’m Ready to Win” suggest you can win money, and all you need to do is click to claim your reward. Skrill likely tested multiple versions of its landing page before deciding on this one, something other companies should do, too. Even when you have a clear idea of what a landing page should look like, it is worthwhile to have the writing process organized. You need to maintain a clear understanding of the process throughout every stage: when you research keywords for your headline, when you write the main copy mentioning the problem and solution and describing the benefits in detail, when you put together an enticing CTA, and when you test your drafted landing page with questions from an imaginary reader. A winning landing page is one that informs your readers about your product, service, or event and convinces them to become your customers. Lori Wade is a content writer for EduBirdies and is interested in a wide range of circles, from education and online marketing to entrepreneurship. 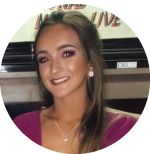 She is also an aspiring tutor, striving to bring education to another level like we all do. If you are interested in writing, you can find her on Twitter or Google+.